Planet Saturn takes two and a half years to transit one Rashi or Zodiac sign. When he passes through the third, sixth and eleventh houses from Moon in a horoscope, he gives good results like happiness, prosperity and enjoyment of physical pleasures of all types. His transit through other houses usually gives bad results. 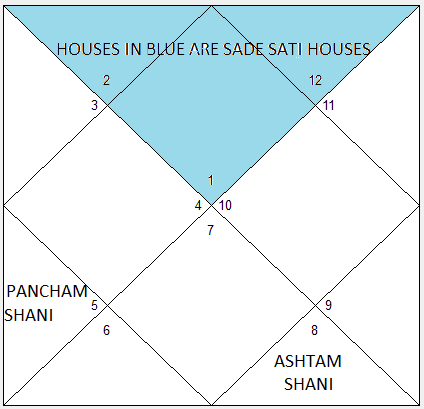 When Saturn transits through the twelfth, the first and the second house from Moon in a horoscope, the phenomenon is called Sade Sati. This is so as Saturn takes a total of seven and a half years in passing through these three houses.The results of this passage are often vexing and troublesome though they are not really bad. Some good results also accrue. According to Hindu astrology Sade-Sati usually results in feet related problems and migraine type head aches. Heavy and wasteful expenditure takes its toll on savings. Progeny, especially male issues get into difficulties and are involved in complicated situations. This period also brings about health related issues and the general health of the person is less than adequate. Mental tensions mount relentlessly and separation from family takes place. Saturn has iron feet during the first two and a half years and this transit causes domestic troubles and unhappiness, losses in business and profession, unsound health and strained relations with relatives. Enemies create troubles. During the next two and a half years Saturn has Golden feet. Strained relations with extended family, financial drain, false accusations are the results of this transit. For the last two and a half years Saturn has feet of silver and gives gains of/from real estate, smooth relations with extended family, and gains from government. 1.Recitation of Pipplaad Uvaach, a six line Sanskrit hymn in praise of Lord Saturn is very helpful in overcoming the problems caused by him. 3.Offerings of mustard oil, Urad Dal, iron implements, raw sugar, and black sesame seeds every Saturday is very effective. 4.Praying in a Shiva temple every Saturday and offering milk-water mixture while chanting OM NAMAHA SHIVAYE works very well too. 5.Fasting on Saturdays and eating only one time meal also helps. 6.Wearing an iron ring made from a horse shoe removed from the right front foot of a black horse is another excellent remedy. 7.The ring can also be made from a nail removed from the bottom of a boat. There is nothing to be afraid of a Sade Sati. Ups and downs are a fact of life. We all learn from adversities and they are a harsh but effective teacher. I have always believed that Life is a journey best traveled by keeping eyes wide open, mouth firmly closed and mental filing system busy. Without any doubt, fifth house transit of Saturn brings a long list of problems with it. This happens because when in the fifth house, his third house aspect falls on the 7th house of marriage and separates a person from the joys of conjugal harmony. The spouse or life partner either falls sick or one has to move away. Relationships teetering on the brink of a break up usually snap at this time. One may elope, go for legal separation or file a divorce. No doubt other planets also play their role in this but Saturn transit triggers the process. The seventh aspect of Saturn falls on the eleventh house of financial gains and puts a brake on income. Money which has been promised is delayed or even canceled at the last moment. Bank loans approved earlier fall through. This is not all. The tenth aspect of Saturn falls on the second house of wealth and begins to diminish it. Decreased income makes it imperative to dip into savings which suffer attrition. Credit cards get maxed at this time and one is happy if she is just able to pay the minimum payments. Over all the fifth house transit takes a heavy toll on finances. Saturn has an unfavorable effect on the fifth house also. Fifth as we know is the house ruling over children and speculation. Both of these suffer. Children’s health may become a cause for concern and speculation causes only losses. 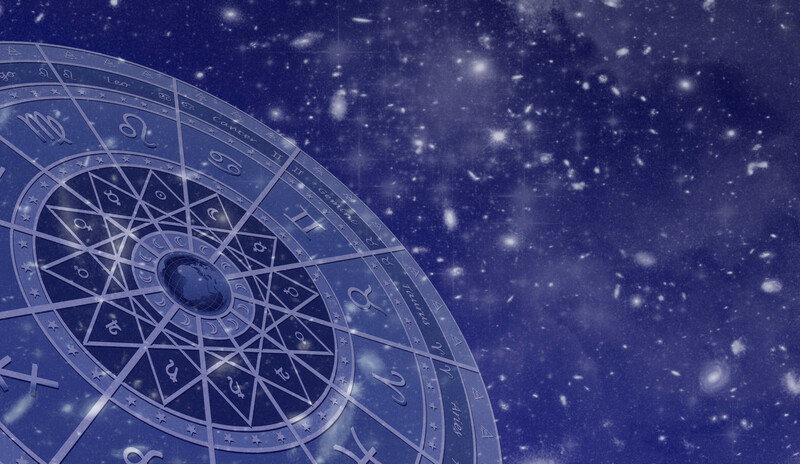 In the next Blog, Ashtam Shani and more remedies…..
What do you think of Saturn transits? Have you experienced Sadesati, Pancham or Ashtam Shani as yet? Please leave a comment. Buy my definitive book on Saturn. It gives every astrologically relevant information about Saturn.